Kalas is excited to announce the launch of GenFlex™ Type SC Cable! 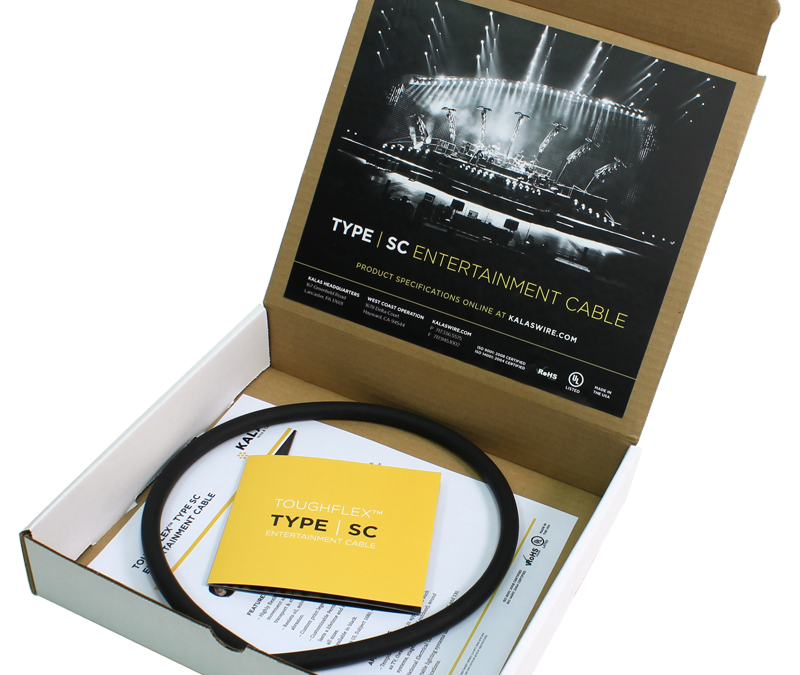 As a UL and cUL approved product, it is an ideal cable selection for temporary power applications including TV, sound systems, portable lighting, indoor & outdoor theater, stage and entertainment applications. Kalas offers Type SC cable in #8 gauge through 250 MCM, constructed of highly flexible No. 30 bare copper conductor and a high-grade RoHS approved CPE jacket. “We are thrilled to offer the addition of GenFlex™ Type SC cable to our valued partners. It is a natural extension to our diverse portfolio of cable products and value-add assemblies, and allows us to support a growing market need with a reliable product, from a dependable manufacturer; and also offers the highly durable and optimal flexibility properties of our GenFlex™ products,” comments Jamie Burgess, product manager for Kalas. All gauges of Type SC Cable feature Kalas PermaPrint™ indent print that will not wash or wear off for the life of the cable. Click below to view the product specifications of Kalas GenFlex™ Type SC Cable, or to email us with your mailing address for a sample kit.